Definition of a Negotiable Instrument. The law relating to negotiable instruments is contained in the Negotiable Instruments Act, 1881. It is an Act to define and amend the law relating to promissory notes, bills of exchange and cheques. The Act does not affect the custom or local usage relating to an instrument in oriental language i.e., a Hundi. A negotiable instrument may be defined as "an instrument, the. property in which is acquired by anyone who takes it bona fide, and for value, not withstanding any defect of title in the person from whom he took it, from which it follows that an instrument cannot be negotiable unless it is such and in such a state that the true owner could transfer the contract or engagement contained therein by simple delivery of instrument"
(i) The instrument should be freely transferable. An instrument cannot be negotiable unless it is such and in such state that the true owner could transfer by simple delivery or endorsement and delivery. (ii) The person who takes it for value and in good faith is not affected by the defect in the title of the transferor. (iii) Such a person can sue upon the instrument in his own name. 1. The instrument should be freely transferable by the custom of trade. 2. The person who obtains it in good faith and for consideration gets it free from all defects and can sue upon it in his own name. 3. The holder has the right to transfer. The negotiability continues till the maturity. The general principle of law relating to transfer of property is that no one can pass a better title than he himself has (nemodat quad non-habet). The exceptions to this general rule arise by virtue of statute or by a custom. A negotiable instrument is one such exception which is originally a creation of mercantile custom. Thus a bonafide transferee of negotiable instrument for consideration without notice of any defect of title, acquires the instrument free on any defect, i.e., he acquires a better title than that of the transferor. (1) The holder of the instrument is presumed to be the owner of the property contained in it. (2) They are freely transferable. (3) A holder in due course gets the instrument free from all defects of title of any previous holder. (4)The holder in due course is entitled to sue on the instrument in his own name. (5) The instrument is transferable till maturity and in case of cheques till it becomes stale (on the expiry of 6 months from the date of issue). (6) Certain equal presumptions are applicable to all negotiable instruments unless the contrary is proved. A promissory note, bill of exchange or cheque is payable to bearer when (i) it is expressed to be so payable, or (ii) the only or last endorsement on the instrument is an endorsement in blank, A person who is a holder of a bearer instrument can obtain the payment of the instrument. A promissory note, bill of exchange or cheque is payable to order (i) which is expressed to be so payable; or (ii) which is expressed to be payable to a particular person, and does not contain any words prohibiting transfer or indicating an intention that it shall not be transferable. (ii) drawn in India upon some persons resident therein, even though it is made payable in a foreign country. (ii) it must be drawn in India and made payable outside India and drawn on a person resident outside India. A promissory note or a bill of exchange in which no time for payment is specified is an instrument payable on demand. Time instruments are those which are payable at sometime in the future. Therefore, a promissory note or a bill of exchange payable after a fixed period, or after sight, or on specified day, or on the happening of an event which is certain to happen, is known as a time instrument. The expression "after slight" in a promissory note means that the payment cannot be demanded on it unless it has been shown to the maker. In the case of bill of exchange, the expression "after sight" means after acceptance, or after noting for non-acceptance or after protest for non-acceptance. An instrument, which in form is such that it may either be treated by the holder as a bill or as a note, is an ambiguous instrument. Section 5(2) of the English Bills of Exchange Act provides that where in a bill, the drawer and the drawee are the same person or where the drawee is a fictitious person or a person incompetent to contract, the holder may treat the instrument, at his option, either as a bill of exchange or as a promissory note. Bill drawn to or to the order of the drawee or by an agent on his principal, or by one branch of a bank on another or by the direction of a company or their cashier are also ambiguous instruments. A promissory note addressed to a third person may be treated as a bill by such person by accepting it, while a bill not addressed to anyone may be treated as a note. But where the drawer and payee are the same e.g., where A draws a bill payable to A's order, it is not an ambiguous instrument and cannot be treated as a promissory note. Once an instrument has been treated either as a bill or as a note, it cannot be treated differently afterwards. When one person signs and delivers to another a paper stamped in accordance with the law relating to negotiable instruments, and either wholly blank or having written thereon an incomplete negotiable instrument, he thereby gives primafacie authority to the holder thereof to make or complete, as the case may be ,upon it a negotiable instrument, for any amount specified therein, and not exceeding the amount, covered by the stamp. Such an instrument is called an inchoate instrument. The person so signing shall be liable upon such instrument, in the capacity in which he signs the same, to any holder in due course for such amount. provided that no person other than a holder in due course shall recover from the person delivering the instrument anything in excess of the amount intended by him to be paid thereon. The authority to fill up a blank or incomplete instrument may be exercised by any "holder" and not only the first holder to whom the instrument was delivered. The person signing and delivering the paper is liable both to a "holder" and a "holder-in-due-course". But there is a difference in their respective rights. A "holder" can recover only what the person signing and delivering the paper agreed to pay under the instrument, while a "holder-in- due-course" can recover the whole amount made payable by the instrument provided that it is covered by the stamp, even though the amount authorised was smaller. (a) The maker: the person who makes or executes the note promising to pay the amount stated therein. (b) The payee: one to whom the note is payable. (c) The holder: is either the payee or some other person to whom he may have endorsed the note. (a) It must be in writing. An oral promise to pay will not do. (b) It must contain an express promise or clear undertaking to pay. A promise to pay cannot be inferred. A mere acknowledgement of debt is not sufficient. If A writes to B "I owe you (I.O.U.) Rs. 500",there is no promise to pay and the instrument is not a promissory note. (c) The promise or undertaking to pay must be unconditional. A promise to pay "when able", or "as soon as possible", or "after your marriage to I? ", is conditional. But a promise to pay after a specific' time or on the happening of an event which must happen, is not conditional, e.g. "I promise to pay Rs. 1,000 ten days after the death of B", is unconditional. (d) The maker must sign the promissory note in token of an undertaking to pay to the payee or his order. (e) The maker must be a certain person, Le., the note must show clearly who is the person engaging himself to pay. (f) The payee must be certain. The promissory note must contain a promise to pay to some person or persons ascertained by name or designation or to their order. (g) The sum payable must be certain and the amount must. not be capable of contingent additions or subtractions. If A promises to pay Rs. 100 and all other sums which shall become due to him, the instrument is not a promissory note. (h) Payment must be in legal money of the country. Thus, a promise to pay Rs. 500 and deliver 10 quintals of rice is not a promissory note. (i) It must be properly stamped in accordance with the provisions of the India Stamp Act. Each stamp must be duly cancelled by maker's signature or initials. (j) It must contain the name of place, number and the date on which it is made. However, their omission will not render the instrument invalid, e.g. if it is undated, it is deemed to be dated on the date of delivery. A promissory note cannot be made payable or issued to bearer, no matter whether it is payable on demand or after a certain time (Section 31 of the RBI Act). The definition of a bill of exchange is very similar to that of a promissory note and for most of the cases the rules which apply 10 promissory notes are in general applicable to bills. There are however, certain important points of distinction between the two. (a) The Drawer: the person who draws the bill. (b) The Drawee: the person on whom the bill is drawn. (c) The Acceptor: one who accepts the bill. Generally, the drawee is the acceptor but a stranger may accept it on behalf of the drawee. (d) The payee: one to whom the sum stated in the bill is payable, either the drawer or any other person may be the payee. (e) The holder: is either the original payee or any other person to whom, the payee has endorsed the bill. In case of a bearer bill, the bearer is the holder. (f) The endorser: when the holder endorses the bill to anyone else he becomes the endorser. (g) The endorsee: is the person to whom the bill is endorsed. Besides the above parties. another person called the "drawee in case of need", may be introduced at the option of the drawer. The name of such a person may be inserted either by the drawer or by any endorser in order that resort may be had to him in case of need, i.e., when the bill is dishonoured by either non-acceptance or non-payment. Further, any person may voluntarily become a party to a bill as acceptor. A person, who on the refusal by the original drawee to accept the bill or to furnish better security, when demanded by the notary, accept the bill supra protest in order to safeguard the honour of the drawer or any endorser, is called the acceptor for honour. (1) It must be in writing. (3) It must be signed by the drawer. (4) The parties must be certain. (5) The sum payable must also be certain. (6) It must comply with other formalities e.g. stamps, date,etc. (b) A note cannot be made payable to the maker himself, while in a bill, the drawer and payee may be the same person. (c) A note contains an unconditional promise by the maker to pay to the payee or his order; in a bill there is an unconditional order to the drawee to pay according to the directions of the drawer. (d) A note is presented for payment without any prior acceptance by the maker. A bill payable after sight must be accepted by the drawee or someone else on his behalf before it can be presented for payment. (e) The liability of the maker of a pro-note is primary and absolute, but the liability of the drawer of a bill is secondary and conditional. in the case of a note. (g) When a bill is dishonoured, due notice of dishonour is to be given by the holder to the drawer and the intermediate endorsee, but no such notice need to be given in the case of a note. (h) A bill can be drawn payable to bearer provided it is not payable on demand. A promissory note cannot be made payable to bearer, even if it is made payable otherwise than on demand. How Bill of Exchange Originates - Forms of Bills of Exchange. Bills of exchange were originally used for payment of debts by traders residing in one country to another country with a view to avoid transmission of coin. Now-a-days they are used more as trade bills both in connection with domestic trade and foreign trade and are called inland bills and foreign bills respectively. A bill of exchange is an inland instrument if it is (i) drawn or made and payable in India, or (ii) drawn in India upon any person who is a resident in India, even though it is made payable in a foreign country. But a promissory note to be an inland should be drawn and payable in India, as it has no drawee. (2) the instrument must be payable in India or the drawee must be in India. All bills which are not inland are deemed to be foreign bills. Normally foreign billsare drawn in sets of three copies. A bill drawn and accepted for a genuine trade transaction is termed as a trade bill. When a trader sells goods on credit, he may make use of a bill of exchange. Suppose A sells goods worth Rs. 1,000 to B and allows him 90 days time to pay the price, A will draw a bill of exchange on B, in the following terms: "Ninety days after date pay A or order, the sum of one thousand rupees only for value received". A will sign the bill and then present it to B for acceptance. This is necessary because, until a bill is accepted by the drawee, nobody has either rights or obligations. If B agrees to obey the order of A, he will accept the bill by writing across its face the word "accepted" and signing his name underneath and then delivering the bill to the holder. B, the drawee, now becomes the acceptor of the bill and liable to its holders. Such a bill is a genuine trade bill. "Three months after date pay A or order, the sum of Rupees one thousand only B to C If the credit of Band C is .good, this device enables A to get an advance of Rs. 1,000 from his banker at the commercial rate of discount. The real debtor in this case is not C, but A the payee who promises to reimburse C before the period of three months only. A is here the principal debtor and Band C are mere sureties. This inversion of liability affords a good definition of an accommodation bill "If as between the original parties to - the bill the one who should prima facie be principal is in. fact the surety whether he be drawer, acceptor, or endorser, that bill is an accommodation bill". Foreign bills are usually drawn in sets to avoid the danger of loss. They ar:e drawn in sets of three, each of which is called "Via" and as soon as anyone of them is paid, the others become inoperative. All these parts form one bill and the drawer must sign and deliver all of them to the payee. The stamp is affixed only on one part and one part is required to be accepted. But if the drawer mistakenly accepts all the parts of the same bill, he will be liable on each part accepted as if it were a separate bill. Where a bill of exchange has been lost before it was overdue, the person who was the holder to it may apply to the drawer, to give him another bill of the same tenor. It is only the holder who can ask for a duplicate bill, promissory note or cheque. A bill of exchange is also sometimes spoken of as a draft. It is called as a bank draft when a bill of exchange drawn by one bank on another bank, or by itself on its own branch, and is a negotiable instrument. It is very much like the cheque with three points of distinction between the two. A bank draft can be drawn only by a bank on another bank, usually its own branch. It cannot so easily be counter-manded. It cannot be made payable to bearer. On demand pay 'A' or order the sum of rupees one thousand five hundred only for value received. In the above demand draft the drawer is X.Y.Z. Branch, the drawee is 'B' branch and the payee is 'A'. Section 6 of the Act provides that a cheque is a bill of exchange drawn on a specified banker, and not expressed to be payable otherwise than on demand. Simply stated, a cheque is a bill of exchange drawn on a bank payable always on demand. Thus, a cheque is a bill of exchange with two additional qualifications, namely: (i) it is always drawn on a banker, and (ii) it is always payable on demand. A cheque being a species of a bill of exchange, must satisfy all the requirements of a bill; it does not, however, require acceptance. Note: By virtue of Section 31 of the Reserve Bank of India Act, no bill of exchange hundi can be made payable to bearer on demand and no promissory note or a bank draft can be made payable to bearer at all, whether on demand or after a specified time. Only a cheque can be payable to bearer on demand. (a) The drawer: The person who draws the cheque. (b) The drawee: The banker of the drawer on whom the cheque is drawn. (e) endorser, and (f) endorsee: same as in the case of a bill. (1)It is always drawn on a banker. (2) It is always payable on demand. (3) It does not require acceptance. There is, however, a custom among banks to mark cheques as good for purposes of clearance. (4) A cheque can be drawn on bank where the drawer has an account. (5) Cheques may be payable to the drawer himself. It may be made payable to bearer on demand unlike a bill or a note. (6) The banker is liable only to the drawer. A holder -has no remedy against the banker if a cheque is dishonoured. (7) A cheque is usually valid for fix months. However, it is not invalid jf it is post dated or ante-dated. (8) No Stamp is required to be affixed on cheques. (a) A cheque is a bill of exchange and always drawn on a banker, while a bill may be drawn on anyone, including banker. (b) A cheque can only be drawn payable on demand, a bill may be drawn payable on demand, or on the expiry of a specified' period after sight or date. (c) A bill payable after sight must be accepted before payment can be demanded, a cheque does not require acceptance and is intended for immediate payment. (d) A grace of 3 days is allowed in the case of time bills, while no grace is given, in the case of a cheque, for payment. (e) The drawer of a bill is discharged, if it is not presented for payment, but the drawer of a cheque is discharged only if he suffers any damage by delay in presentment for payment. (f) Notice of the dishonour of a bill is necessary, but not in the case of a cheque. (h) A cheque may be crossed, but not a bill. A cheque is a bill of exchange drawn on a specified banker and always payable on demand. A cheque is always drawn on a particular banker and is always payable on demand. Consequently, all cheques are bills of exchange but all bills are not cheques. (2) that the amount deposited is repayable to the depositor on demand or according to the agreement. The demand for repayment can be made through a cheque, draft or otherwise, and not merely by verbal order. 1. Obligation to honour cheques of the customers. 2. Obligation to collect cheques and drafts on behalf of the customers. 3. Obligation to keep proper record of transactions with the customer. 4. Obligation to comply with the express standing instructions of the customer. 5. Obligation not to disclose the state of customer's account to anyone else. 6. Obligation to give reasonable notice to the customer, if the banker wishes to close the account. 7. Right of lien over any goods and securities bailed to him for a general balance of account. 8. Right of set off and right of appropriation. 9. Right to claim incidental charges and interest as per rules and regulations of the bank as communicated to the customer at the time of opening the account. By opening a current account of a customer, the banker becomes liable to his debtor to the extent of the amount so received in the said account and undertakes to honour the cheques drawn by the customer so long as he holds sufficient funds to the customer's credit. If a banker, without justification, fails to honour t1is customer's cheques, he is liable to compensate the drawer for any loss or damage suffered by him. But the payee or holder of the cheque has no cause of action against the banker as the obligation to honour a cheques is only towards the drawer. The banker must also maintain proper and accurate accounts of credits and debits. He must honour a cheque presented in due course. But in the following circumstances, he must refuse to honour a cheque and in some others he may do so. (a) When a customer countermands payment Le., where or when a customer, after issuing a cheque issues instructions not to honour it, the banker must not pay it. (b) When the banker receives notice of customer's death.When customer has been adjudged an insolvent. (d) When the banker receives notice of customer's insanity. (e) When an order (e.g., Garnishee Order) of the Court, prohibits payment. (f) When the customer has given notice of assignment of the credit balance of his account. (g) When the holder's title is defective and the banker comes to know of it. (h) When the customer has given notice for closing his account. (a) When the cheque is post-dated. (b) When the banker has not sufficient funds of the drawer with him and there is no communication between the bank and the customer to honour the cheque. (c) When the cheque is of doubtful legality. (d) When the cheque is not duly presented, e.g., it is presented after banking hours. 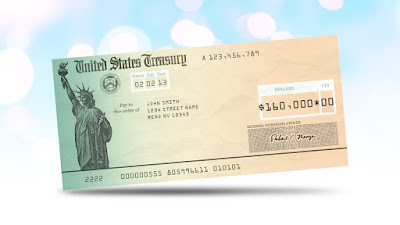 (e) When the cheque on the face of it is irregular, ambiguous or otherwise materially altered. (f) When the cheque is presented at a branch where the customer has no account. (g) When some persons have joint account and the cheque is not signed jointly by all or by the survivors of them. 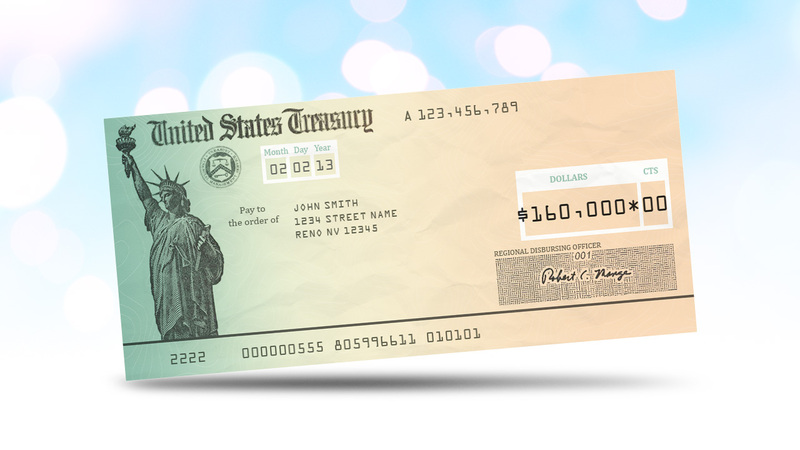 (h) When the cheque has been allowed to become stale, Le., it has not been presented within six months of the date mentioned on it. Section 85 lays down that where a cheque payable to order purports to be endorsed by or on behalf -of the payee the banker is discharged by payment in due course. He can debit the account of the customer with the amount even though the endorsement turns out subsequently to have been forged, or the agent of the payee without authority endorsed it on behalf of the payee. It would be seen that the payee includes endorsee. This protection is granted because a banker cannot be expected to know the signatures of all the persons in the world. He is only bound to know the signatures of his own customers. Therefore, the forgery of drawer's signature will not ordinarily protect the banker but even in this case, the banker may debit the account of the customer, if it can show that the forgery was intimately connected with the negligence of the customer and was the proximate cause of loss. In the case of bearer cheques, the rule is that once a bearer cheque, always a bearer cheque. Where, therefore, a cheque originally expressed by the drawer himself to be payable to bearer, the banker may ignore any endorsement on the cheque. He will be discharged by payment in due course. But a cheque which becomes bearer by a subsequent endorsement in blank is not covered by this Section. A banker is discharged from liability on a crossed cheque if he makes payment in due course. Any person liable to make payment under a negotiable instrument, must make the payment of the amount due thereunder in due course in order to obtain a valid discharge against the holder. A payment in due course means a payment in accordance with the apparent tenor of the instrument, in good faith and without negligence to any person in possession thereof. (e) payment is made in money and money only. "A banker who has in good faith and without negligence received payment for a customer of a cheque crossed generally or specifically to himself -shall not, in case the title to the cheque proves defective, incur any liability to the true owner of the cheque by reason of only having received such payment. Explanation: A banker receives payment of a crossed cheque for a customer within the meaning of this section notwithstanding that he credits his customer's account with the amount of-the cheque before receiving payment thereof." (i) The collecting banker should have acted in good faith and without negligence. An act is done in good faith when it is done honestly. The plea of good faith can be rebutted on the ground of recklessness indicative of want of proper care and attention. Therefore, much depends upon the facts of the case. The burden of proving that the cheque was collected in good faith and without negligence is upon the banker claiming protection. Failure to verify the regularity of endorsements, collecting a cheque payable to the account of the company to the credit of the director, etc. are examples of negligence. (ii) The banker should have collected a crossed cheque, i.e., the cheque should have been crossed before it came to him for collection. (iii) The proceeds should have been collected for a customer, i.e., a person who has an account with him. (iv)That the collecting banker has only acted as an agent of the customer. If he had become the holder for value, the protection available under Section 131 is forfeited - Where for instance, the banker allows the customer to withdraw the amount of the cheque before the cheque is collected or where the cheque has been accepted in specific reduction of an overdraft, the banker is deemed to have become the holder for value and the protection is lost. But the explanation to Section 131 says that the mere crediting of the amount to the account does not imply that the banker has become a holder for value because due to accounting conveniences the banker may credit the account of the cheque to the customer's account even before proceeds thereof are realised. A cheque is overdue or becomes statute-barred after three years from its due date of issue. A holder cannot sue on the cheque after that time. Apart from this provision, the holder of a cheque is required to present it for payment within a reasonable time, as a cheque is not meant for indefinite circulation. In India, a cheque, which has been in circulation for more than six months, is regarded by bankers as stale. If, as a result of any delay in presenting a cheque, the drawer suffers any loss, as by the failure of the bank, the drawer is discharged from liability to the holder to the extent of the damage. In order to charge an endorser, it is necessary to present the cheque for payment within a reasonable time of its delivery by such endorser. 'A' endorses and delivers a cheque to B, and B keeps it for an unreasonable length of time, and then endorses and delivers it to C. C presents it for payment within a reasonable time after its receipt by him, and it is dishonoured. C can enforce payment against B but not against A, as qua A, the cheque has become stale. (ii) where banker pays a crossed cheque by mistake over the counter, he is liable to the owner for any loss occasioned by it. A cheque is either "open" or "crossed". An open cheque can be presented by the payee to the paying banker and is paid over the counter. A crossed cheque cannot be paid across the counter but must be collected through a banker. A crossing is a direction to the paying banker to pay the money generally to a banker or to a particular banker, and not to pay otherwise. The object of crossing is to secure payment to a banker so that it could be traced to the person receiving the amount of the cheque. Crossing is a direction to the paying banker that the cheque should be paid only to a banker or a specified banker. To restrain negotiability, addition of words "Not Negotiable" or "Account Payee Only" is necessary. A crossed bearer cheque can be negotiated by delivery and crossed order cheque by endorsement and delivery. Crossing affords security and protection to the holder of the cheque. (ii) Special. To these may be added another type, Le. Restrictive crossing. It is general crossing where a cheque bears across its face an addition of two parallel transverse lines and/or the addition of the words "and Co." between them, or addition of "not negotiable". As stated earlier, where a cheque is crossed generally, the paying banker will pay to any banker. Two transverse parallel lines are essential for a general crossing (Sections 123-126). In case of general crossing, the holder or payee cannot get the payment over the counter of the bank but through a bank only. The addition of the words "and Co." do not have any significance but the addition of the words "not negotiable" restrict the negotiability of the cheque and in case of transfer, the transferee will not give a better title than that of a transferor. Where a cheque bears across its face an addition of the name of a banker, either with or without the words "not negotiable" that addition constitutes a crossing and the cheque is crossed specially and to that banker. The paying banker will pay only to the banker whose name appears across the cheque, or to his collecting agent. Parallel transverse lines are not essential but the name of the banker is the insignia of a special crossing. In case of special crossing, the paying, banker is to honour the cheque only when it is prescribed through the bank mentioned in the crossing or it's agent bank. Account Payee's Crossing: Such crossing does, in practice, restrict negotiability of a cheque. It warns the collecting banker that the proceeds are to be credited only to the account of the payee, or the party named, or his agent. If the collecting banker allows the proceeds of a cheque bearing such crossing to be credited to any other account, he will be guilty of negligence and will not be entitled to the protection given to collecting banker under Section 131. Such crossing does not affect the paying banker, who is under no duty to ascertain that the cheque is in fact collected for the account of the person named as payee. A cheque may be crossed not negotiable by writing across the face of the cheque the words "Not Negotiable" within two transverse parallel lines in the case of a general crossing or along with the name of a banker in the case of a special crossing. Section 130 of the Negotiable Instruments Act provides "A person taking a cheque crossed generally or specially bearing in either case with the words "not negotiable" shall not have and shall not be capable of giving, a better title to the cheque than that which the person from whom he took it had". The crossing of cheque "not negotiable" does not mean that it is non-transferable. It only deprives the instrument of the incident of negotiability. Normally speaking, the essential feature of a negotiable instrument as opposed to chattels is that a person who takes the instrument in good faith, without negligence, for value, before maturity and without knowledge of the defect in the title of the transferor, gets a good title to the instrument. In other words, he is called a holder in due course who acquires an indisputable title to the cheque. (When the instrument passes through a holder-in-due course, it is purged of all defects and the subsequent holders also get good title). It is exactly this important feature which is taken away by crossing the cheque "not negotiable". In other words, a cheque crossed “not negotiable" is like any other chattel and therefore the transferee gets same title to the cheque which his transferor had. That is to say that the transferee cannot claim the rights of a holder-in-due-course. So long as the title of the transferors is good, the title of the transferees is also good but if there is a taint in the title to the cheque of one of the endorsers, then all the subsequent transferees' title also become tainted with the same defect-they cannot claim to be holders-in-due-course. The object of this Section is to afford protection to the drawer or holder of a cheque who is desirous of transmitting it to another person, as much protection as can reasonably be afforded to him against dishonestly or actual miscarriage in the course of transit. For example, a cheque payable to bearer is crossed generally and is marked "not negotiable". It is lost or stolen and comes into the possession of X who takes it in good faith and gives value for it, X collects the cheque through his bank and paying banker also pays. In this case, both the paying and the collecting bankers are protected under Sections 128 and 131 respectively. But X cannot claim that he is a holder-in-due course which he could have under the normal circumstances claimed. The reason is that cheque is crossed "not negotiable" and hence the true owner's (holder's) right supersedes the rights of the holder-in-due-course. Since X obtained the cheque from a person who had no title to the cheque (Le. from one whose title was defective) X can claim no better title solely because the cheque was crossed "not negotiable" and not for any .other reason. Thus "not negotiable" crossing not only protects the rights of the true owner of y,the cheque but also serves as a warning to the endorsees' to enquire thoroughly before taking the cheque as they may have to be answerable to the true owner thereof if the endorser's title is found to be defective. "Not negotiable" restricts the negotiability of the cheque and in case of transfer, the transferee will not get a better title than that of a transferor. If the cheque becomes "not negotiable" it lacks negotiability. A cheque crossed specially or generally bearing the words "not negotiable” lacks negotiability and therefore is not a negotiable instrument in the ,true sense. It does not restrict transferability but restricts negotiability only. Cheques are always payable on demand but other instruments like bills, notes, etc. may be made payable on a specified date or after the specified period of time. The date on which payment of an instrument falls due is called its maturity. According to Section 22 of the Act, "the maturity of a promissory note or a bill of exchange is the date at which it falls due". According to Section 21 a promissory note or bill of exchange payable "at sight" or "on presentment" is payable on demand. It is due for payment as soon as it is issued. The question of maturity, therefore, arises only in the case of a promissory note or a bill of exchange payable "after date" or "after sight" or at a certain period after the happening of an event which is certain to happen. Maturity is the date on which the payment of an instrument falls due. Every instrument payable at a specified period after date or after sight is entitled to three days of grace. Such a bill or note matures or falls due on the last day of the grace period, and must be presented for payment on that day and if dishonoured, suit can be instituted on the next day after maturity. If an instrument is payable by instalments, each instalment is entitled to three days of grace. No days of grace are allowed for cheques, as they are payable on demand. Where a note or bill is expressed to be payable on the expiry of specified number of months after sight, or after date, the period of payment terminates on the day of the month which corresponds with the date of instrument, or with the date of acceptance if the bill be accepted or presented for sight, or noted or protested for non-acceptance. If the month in which the period would terminate has no corresponding day, the period shall be held to terminate on the last day of such month. (i) A negotiable instrument dated 31 st January, 2001, is made payable at one months after date. The instrument is at maturity on the third day after the 28th February, 2001, Le. on 3rd March, 2001. (ii) A negotiable instrument dated 30th August, 2001, is made payable three months after date. The instrument is at maturity on.3rd December, 2001. (iii) A negotiable instrument. dated the 31 st August, 2001, is made payable three months after date. The instrument is at maturity on 3rd December, 2001. If the day of maturity falls on a public holiday, the instrument is payable on the proceeding business day. Thus if a bill is at maturity on a Sunday. It will be deemed due on Saturday and pot on Monday. The ascertainment of the date of maturity becomes important because all these instruments must be presented for payment on the last day of grace and their payment cannot be demanded before that date. Where an instrument is payable by instalments, it must be presented for payment on the third day after the day fixed for the payment of each instalment. (ii) to recover or receive its amount from the parties thereto. It is not every person in possession of the instrument who is called a holder. To be a holder, the person must be named in the instrument as the payee, or the endorsee, or he must be the bearer thereof. A person who has obtained possession of an instrument by theft, or under a forged endorsement, is not a holder. as he is not entitled to recover the instrument. The holder implies de jure (holder in law) holder and not de facto (holder in fact) holder. An agent holding an instrument for his principal is not a holder although he may receive its payment. (i) He must be the holder of the instrument. (ii)He should have obtained the instrument for value or consideration. (iii) He must have obtained the negotiable instrument before maturity. (iv)The instrument should be complete and regular on the face of it. (v) The holder should take the instrument in good faith. A holder in due course is in a privileged position. He is not only himself protected against all defects of the persons from whom he received the instrument as current coin, but also serves as a channel to protect all subsequent holders. A holder in due course can recover the amount of the instrument from all previous parties, although, as a matter of fact, no consideration was paid by some of the previous parties to the instrument or there was a defect of title in the party from whom he took it. Once an instrument passes through the hands of a holder in due course, it is purged of all defects. It is like current coin. Whoever takes it can recover the amount from all parties previous to such holder. Capacity to incur liability as a party to a negotiable instrument is co-extensive with capacity to contract. According to Section 26, every person capable of contracting according to law to which he is subject, may bind himself and be bound by making, drawing, acceptance, endorsement, delivery and negotiation of a promissory note, bill of exchange or cheque. Negatively, minors, lunatics, idiots, drunken person and persons otherwise disqualified by their personal law, do not incur any liability as parties to negotiable instruments. But incapacity. of one or more of the parties to a negotiable instrument in no way, dim1nishes the abilities and the liabilities of the competent parties. Where a . minor is the endorser or payee of an instrument which has been endorsed all the parties accepting the minor are liable in the event of its dishonour. The drawer of a bill of exchange or cheque is bound, in case of dishonour by the drawee or acceptor thereof, to compensate the holder, provided due notice of dishonour . has been given to or received by the drawer. The nature of drawer's liability is that by drawing a bill, he undertakes that (i) on due presentation, it shall be accepted and paid according to its tenor, and (ii) in case of dishonour, he will compensate the holder or any endorser, provided notice of dishonour has been duly given. However, in case of accommodation bill no notice of dishonour to the drawer is required.The liability of a drawer of a bill of exchange is secondary and arises only on default of the drawee, who is primarily liable to make payment of the negotiable instrument. (i) The banker has sufficient funds to the credit of customer's account. (ii) The funds are properly applicable to the payment of such cheque, e.g., the funds are not under any kind of lien etc..
(iii) The cheque is duly required to be paid, during banking hours and on or after the date on which it is made payable. If the banker is unjustified in refusing to honour the cheque of its customer, it shall be liable for damages. It follows that the liability of the acceptor of a bill corresponds to that of the maker of a note and is absolute and unconditional but the liability under this Section is subject to the contract to the contrary (e.g., as in the case of accommodation bills) and may be excluded or modified by a collateral agreement. Further, the payment must be made to the party named in the instrument and not to any-one else, and it must be made at maturity and not before. Every prior party to a negotiable instrument is liable thereon to a holder in due course until the instrument is duly satisfied. Prior parties may include the maker or drawer, the acceptor and all the intervening endorsers to a negotiable instrument. The liability of the prior parties to a holder in due course is joint and several. The holder in due course may hold any or all prior parties liable for the amount of the dishonoured instrument. Various parties to a negotiable instrument who are liable thereon stand on a different footing with respect to the nature of liability of each one of them. An acceptor of a bill of exchange already endorsed is not relieved from liability by reason that such endorsement is forged. if he knew or had reason to believe the endorsement to be forged when he accepted the bill. An acceptor of a bill of exchange drawn in a fictitious name and payable to the drawer's order is not, by reason that such name is fictitious, relieved from liability to any holder In due course claiming under an endorsement by the same hand as the drawer's signature, and purporting to be made by the drawer. A negotiable instrument may be transferred by negotiation or assignment. Negotiation is the transfer of an instrument (a note, bill or cheque) for one person to another in such a manner as to convey title and to constitute the transferee the holder thereof. When a negotiable instrument is transferred by negotiation, the rights of the transferee may rise higher than those of the transferor, depending upon the circumstances attending the negotiation. When the transfer is made by assignment, the assignee has only those rights which the assignor possessed. In case of assignment, there is a transfer of ownership by means of a written and registered document. (a) Negotiation requires mere delivery of a bearer instrument and endorsement and delivery of an order instrument to effectuate a transfer. Assignment requires a written document signed by the transferor. (b) Notice of transfer of debt (actionable claim) must be given by the assignee to the debtor in order to complete his title; no such notice is necessary in a transfer by negotiation. (c) On assignment, the transferee of an actionable claim takes it subject to all the defects in the title of, and subject to all the equities and defences available against the assignor, even though he took the assignment for value and in good faith. In case of negotiation the transferee, as holder-in-due course, "takes the instrument free from any defects in the title of the transferor. 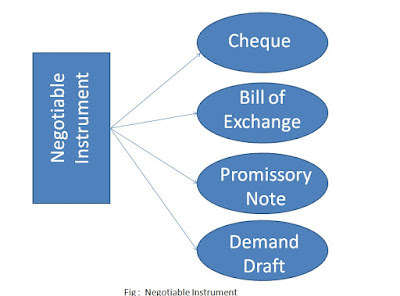 Negotiation is effected by mere delivery of a bearer instrument and by endorsement and delivery of an order instrument. This shows that "delivery" is essential in negotiable instruments. Section 46 expressly provides that making acceptance or endorsement of negotiable instrument is not complete until delivery,adual or constructive, of the instrument. Delivery made voluntarily with the intention of passing property in the instrument to the person to whom it is given is essential. (ii) Where it is originally made payable to order but the only or the last endorsement is in blank. (iv) These Instruments do not require signature of the transferor. The person who takes them is a holder, and can sue in his own name on them. Where a bearer negotiates an instrument by mere delivery, and does not put his signature thereon,-he is not liable to any party to the instrument in case the instrument is dishonoured, as he has not lent his credit to it. His obligations are only towards his immediate transferee and to no other holders. A cheque, originally drawn payable to bearer remains bearer, even though it is subsequently endorsed in full. The rule is once a bearer cheque always a bearer cheque. An instrument payable to a specified person or to the order of a specified to a specified person or order is an instrument payable to order. Such an instrument can be negotiated only by endorsement and delivery. Unless the holder signs his endorsement on the instrument, the transferee does not become a holder. Where an instrument payable to order is delivered without endorsement, it is merely assigned and not negotiated and the holder their of is not entitled to the rights of a holder in due course, and he cannot negotiate it to a third person. Where the maker or holder of a negotiable instrument signs the same otherwise than as such maker for the purpose of negotiation, on the back or face thereof or on a slip of paper annexed thereto (called Allonge), or so, signs for the same purpose, a stamped paper intended to be completed as a negotiable instrument, he is said to endorse the same (Section 15), the person to whom the instrument is endorsed is called the endorsee. In other words, 'endorsement' means and involves the writing of something on the back of an instrument for the purpose of transferring the right, title and interest therein to some other person. or (d) Partial, and (e) Conditional or Qualified. An endorsement is to be blank or general where the endorser merely writes his signature on the back of the instrument, and the instrument so endorsed becomes payable to bearer, even though originally it was payable to order. 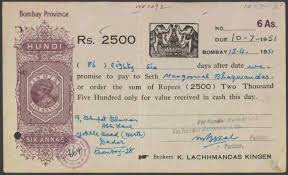 Thus, where bill is payable to "Mohan or order", and he writes on its back "Mohan", it is an endorsement in blank by Mohan and the property in the bill can pass by mere delivery, as long as the endorsement continues tobe a/blank. But a holder of an instrument endorsed in blank may convert the endorsement in blank into an endorsement In full, by writing above the endorser's signature, a direction to pay the instrument to another person or his order. If the endorser signs his name and adds a direction to pay the amount mentioned in the instrument to, or to the order of a specified person, the endorsement is said to be special or in full. A bill made payable to Mohan or Mohan or order, and endorsed "pay to the order of Sohan" would be specially endorsed and Sohan endorses it further. A blank endorsement can be turned into a special one by the addition of an order making the bill payable to the transferee. An endorsement is restrictive which prohibits or restricts the further negotiation of an instrument. Examples of restrictive endorsement: "Pay A only" or "Pay A for my use" or "Pay A on account of B" or "Pay A or order for collection"
An endorsement partial is one which purports to transfer to the endorsee a part only of the amount payable on the instrument. A partial endorsement does not operate as negotiation of the instrument. A holds a bill for Rs. 1,000 and endorses it as "Pay B or order Rs. 500". The endorsement is partial and invalid. (i) By sans recourse endorsement, Le. by making it clear that he does not incur the liability of an endorser to the endorsee or subsequent holders and they should not look to him in case of dishonour of instrument. The endorser excludes his liability by adding the words "sans recourse" or "without recourse", e.g., "pay A or order same recourse". (ii) By making his liability depending upon happening of a specified event which may never happen, e.g., the holder of a bill may endorse it thus: "Pay A-or order on his marrying B". In such a case, the endorser will not be liable until. A mafries B. It is pertinent to refer to Section 52 of the Negotiable Instruments Act, 1881 here. It reads "The endorser of a negotiable instrument may, by express words in the endorsement exclude his own liability thereon, or make such liability or the right of the endorsee to receive the amount due thereon depend upon the happening of a specified event, although such event may never happen. Where an endorser negotiates an instrument and again becomes its holder, the instrument is said to be negotiated back to that endorser and none of the intermediary endorsees are then liable to him. The rule prevents a circuity of action. For example, A, the holder of a bill endorses it to a, B endorses to C, and C to D, and endorses it again to A. A, being a holder in due course of the bill by second endorsement by,D, can recover the amount thereof from B, C, or D and himself being a prior party is liable to all of them. Therefore, A having been relegated by the second endorsement to his original position, cannot sue B, C and D.
Where an endorser so excludes his liability and afterwards becomes the holder of the instrument, all the intermediate endorsers are liable to him. " the italicised portion of the above Section is important. An illustration will make the point clear. A is the payee of a negotiable instrument. He endorses the instrument 'sans recourse' to B, B endorses to C, C to D, and D again endorses it to A. In this case, A is not only reinstated in his former rights but has the right of an endorsee against B, C and D.
When a negotiable instrument has been lost or has been obtained from any maker, acceptor or holder thereof by means of an offence or fraud, or for an unlawful consideration, no possessor or endorsee, who claims through the person who found or obtained the instrument is entitled to receive the amount due thereon from such maker, acceptor, or holder from any party prior to such holder unless such possessor or endorsee is, or some person through whom he claims was, a holder in due course. The case of a forged endorsement is worth special notice. if an instrument is endorsed in full, it cannot be negotiated except by an endorsement signed by the person to whom or to whose order the instrument is payable, for the endorsee obtains title only through his endorsement. Thus, if an instrument be negotiated by means of a forged endorsement, the endorsee acquires no title even though he be a purchaser for value and in good faith, for the endorsement is a nullity. Forgery conveys no title. But where the instrument is a bearer instrument or has been endorsed in blank, it can be negotiated by mere delivery, and the holder derives his title independent of the forged endorsement and can claim the amount from any of the parties to to the instrument. For example, a bill is endorsed, "Pay A or order". A endorses it in blank, and it comes into the hands of B, who simply delivers it to C, C forges B's endorsement and transfer it to D. Here, D, as the holder does not derive his title through the forged endorsement of B, but through the genuine endorsement of A and can claim payment from any of the parties to the instrument in spite of the intervening forged endorsement. The drawee of a bill of exchange, as such, has no liability on any bill addressed to him for acceptance or payment. A refusal to accept or to pay such bill gives the holder no rights against him. The drawee becomes liable only after he accepts the bill. The acceptor has to write the word 'accepted' on the bill and sign his name below it.. Thus, it is the acceptor who is primarily liable on a bill. The acceptance of a bill is the indication by the drawee of his assent to the order of the drawer. Thus, when the drawee writes across the face of the bill the word "accepted" and signs his name underneath he becomes the acceptor of the bill. An acceptance may be either general or qualified. A general acceptance is absolute and as a rule, an acceptance has to be general. . Where an acceptance is made subject to some condition or qualification, thereby varying the effect of the bill, it is a qualified acceptance. The holder of the bill may either refuse to take a qualified acceptance or non-acquiescence in it. Where he refuses to take it, he can treat the bill as dishonoured by non-acceptance, and sue the drawer accordingly. When a bill has been noted or protested for non-acceptance or for better security, any person not being a party already liable thereon may, with the consent of the holder, by writing on the bill, accept the same for the honour of any party thereto. The stranger so accepting, will declare under his hand that he accepts the protested bill for the honour of the drawer or any particular endorser whom he names. The acceptor for honour is liable to pay only when the bill has been duly presented at maturity to the drawee for payment and the drawee has refused to pay and the bill has been noted and protested for non-payment. Where a bill has been protested for non-payment after having been duly accepted, any person may intervene and pay it supra protest for the honour of any party liable on the bill. When a bill is paid supra' protest, it ceases to be negotiable. The stranger, on paying for honour, acquires all the right of holder for whom he pays. (i) The drawee or his duly authorised agent. (ii)If there are many drawees, bill must be presented to all of them. (iii)The legal representatives of the drawee if drawee is dead. (iv)The official receiver or assignee of insolvent drawee. (v) To a drawee in case of need, if there is any. This is necessary when the original drawee refuses to accept the bill. (vi) The acceptor for honour. In case the bill is not accepted and is noted or protested for non-acceptance, the bill may be accepted by the acceptor for honour. He IS a person who comes forward to accept the bill when it is dishonoured by non-acceptance. The presentment must be made before maturity, within a reasonable time after it is drawn, or within the stipulated period, if any, on a business day within business hours and at the place of business or residence of the drawee. The presentment must be made by exhibiting the bill to the drawee; mere notice of its existence in the possession of holder will not be sufficient. When presentment is compulsory and the holder fails to present for acceptance, the drawer and all the endorsers are discharged from liability to him. (a) Where the drawee cannot be found after reasonable search. (b) Where drawee is a fictitious person or one incapable of contracting. All notes. bills and cheques must be presented for payment to the maker, acceptor or drawee thereof respectively by or on behalf of the holder during the usual hours of business, and if at banker's within banking hours. (a) Where the maker, drawer or acceptor actively does something so as to intentionally obstruct the presentment of the instrument, e.g., deprives th holder of the instrument and keeps it after maturity. (b) Where his business place is closed on the due date. (c) Where no person is present to make payment at the place specified for payment. (e) Where there is a promise to pay notwithstanding non-presentment. (f) Where the presentment is express or impliedly waived by the party entitled to presentment. (g) Where the drawer could not possibly have suffered any damage by non-presentment. (h) Where the drawer is a fictitious person, or one incompetent to contract. (i) Where the drawer and the drawee are the same person. m Where the bill is dishonoured by non-acceptance. (k) Where presentment has become impossible, e.g., the declaration of war between the countries of the holder and drawee. (I) Where though the presentment is irregular, acceptance has been refused on some other grounds. (b) When presentment for acceptance is excused and the bill remains unaccepted. (c) When the drawee is incompetent to contract. (d) When the drawee is a fictitious person or after reasonable search can not be found. (e) Where the acceptance is a qualified one. A promissory note, bill of exchange or cheque is said to be dishonoured by non-payment when the maker of the note, acceptor of the bill or drawee of the cheque makes default in payment upon being duly required to pay the same. Also, a negotiable instrument is dishonoured by non-payment when presentment for payment is excused and the instrument when overdue remains unpaid. If the bill is dishonoured either by non-acceptance or by non- payment, the drawer and ail the endorsers of the bill are liable to the holder, provided he gives notice of such dishonour. The drawee is liable only when there is dishonour by non-payment. When a negotiable instrument is dishonoured either by non-acceptance or by non-payment, the holder or some party liable thereon must give notice of dishonour to all other parties whom he seeks to make liable. Each party receiving notice of dishonour must in order to render any prior party liable to himself, give notice of dishonour to such party within a reasonable time after he has received it. The object ot giving notice is not to demand payment but to whom the party notified of his liability and in case of drawer to enable him to protect himself as against the drawee or acceptor who has dishonoured the instrument issued by him. Notice of dishonour is so necessary that an omission to give 'it discharges all parties other than the maker or acceptor. These parties are discharged not only on the bill or note, but also in respect of the original consideration. Notice may be oral or in writing, but it must be actual formal notice. It must be given within a responsible' time of dishonour. (b) When the drawer has countermanded payment. (c) When the party charged would not suffer damage for want of notice. (d) When the party entitled to notice cannot after due search be found. (e) When the omission to give notice is caused by unavoidable circumstances, e.g., death or dangerous illness of the holder. (f) Where the acceptor is also a drawer, e.g., where a firm draws on its branch. (g) Where the promissory note is not negotiable. Such a note cannot be endorsed. (h) Where the party entitled to notice promises to pay unconditionally. Where a note or bill is dishonoured, the holder is entitled after giving due notice of dishonour, to sue the drawer and the endorsers. Section 99 provides a convenient method of authenticating the fact of dishonour by means of "Noting". Where a bill or note is dishonoured, the holder may, if he so desires, cause such dishonour to be noted by a notary public on the instrument, or on a paper attached thereto or partly on each. The noting or minute must be recorded by the notary public within a reasonable time after dishonour and must contain the fact of dishonour, the date of dishonour, the reason, if any, assigned for such dishonour if the instrument has not been expressly dishonoured the reasons why the holder treats it dishonoured and notary's charges. The protest is the formal notarial certificate attesting the dishonour of the bill, and based upon the noting which has been effected on the dishonour of the bill. After the noting has been made, the formal protest is drawn up by the notary and when it is drawn up it relates back to the date of noting. Where the acceptor of a bill has become insolvent, or has suspended payment, or his credit has been publicly impeached, before the maturity of the bill, the holder may have the bill protested for better security. The notary public demands better security and on its refusal makes a protest known as "protest for better security". Foreign bills must be protested for dishonour when such protest is required by the law of the place where they are drawn. Foreign promissory notes need not be so protested. Where a bill is required by law to be protested, then instead of a notice of dishonour, notice of protest must be given by the notary public. A protest to be valid must contain on the instrument itself or a literal transcript thereof,the names of the parties for and against whom protest is made, the fact and reasons for dishonour together with the place and time of dishonour and the signature of the notary public. Protest affords an authentic evidence of dishonour to the drawer and the endorsee. The discharge in relation to negotiable instrument may be either (i) discharge of the instrument or (ii) discharge of one or more parties to the instrument from liability. When any particular party or parties are discharged, the instrument continues to be negotiable and the un-discharged parties remain liable on it. For example, the non-presentment of a bill on the due date discharges the endorsers from their liability, but the acceptor remains liable on it. (a) By cancellation by the holder of the name of any party to it with the intention of discharging him. (c) Discharge of secondary parties, Le., endorsers. (d) By the operation of the law, Le., by insolvency of the debtor. (e) By allowing drawee more than 48 hours to accept the bill, all previous parties are discharged. (f) By non-presentment of cheque promptly the drawer is discharged. (g) By taking qualified acceptance, all the previous parties are discharged. An alteration is material which in any way alters the operation of the Instrument and the liabilities of the parties thereto. Therefore, any change in an instrument which causes it to speak a different language in.legal effect from that which it originally spoke, or which changes legal character of the instrument is a material alteration. A material alteration renders the instrument void, but it affects only those persons who have already become parties at the date of the alteration. Those who take the altered instrument cannot complain. Section 88 provide$ that an acceptor or endorser of a negotiable instrument is bound by his acceptance or endorsement notwithstanding any previous alteration of the instrument..
(vii) tearing the instrument. in a material part. (v) addition of the words "on demand" in an instrument where no time of payment is stated. An acceptor of a bill may make payment before maturity, and the bill is then said to .be retired, but it is not discharged and must not be cancelled except by the acceptor when it comes into his hands. It is customary in such a case to make allowance of interest on the money to the acceptor for the remainder of the time which the bill has to run. The interest allowance Is known as rebate. Hundis are negotiable instruments written in an oriental language. They are sometimes bills of exchange and sometimes promissory notes, and are not covered under the Negotiable Instruments Act, 1881. Generally, they are governed by the customs and usages in the locality but if custom is silent on the point in dispute before the Court, this Act applies to the hundis. The term "hundi" was formerly applicable to native bills of exchange. The promissory notes were then called "teap". The hundis were in circulation in India even before the present Negotiable Instrument Act, 1881 came into operation. The usages attached to these hundis varied with the locality in which they were in circulation. Generally understood, the term "hundi" includes all indigenous negotiable instruments whether they are bills of exchange or promissory notes. An instrument in order to be a hundi must be capable of being sued by the holder in his own name, and must by the custom of trade be transferred like cash by delivery. Obviously the customs relating to hundis were many. In certain parts of the country even oral. bazar. Shah Jog Hundi means a hundi which is payable only to a respectable holder,as opposed. to a hundi payable to bearer. In other words the drawee before paying the same has to satisfy himself that the payee is a 'SHAH'. A "jokhmi" hundi is always drawn on or against goods shipped on the vessel mentioned in the hundi. It implies a condition that money will be paid only in the event of arrival of the goods against which the hundi is drawn. It is in the nature of policy of insurance. The difference, however, is that the money is paid before hand and is to be recovered if the ship arrives safely. It is a hundi payable to the party named in the bill or his order. The name of the payee is specifically inserted in the hundi. It can also be negotiated like a bill of exchange. Its alteration into a Shah Jog hundi is a. material alteration and renders it void. This is a hundi payable at sight. It is freely negotiable and the price is regulated by demand and supply. They are payable on demand and must be presented for payment within a reasonable time after they are received by the holder. This is otherwise called muddati hundi, that is, a hundi payable after a specified period of time. Usually money is advanced against these hundis by shroffs after deducting the advance for the period in advance. There are other forms of hundis also like. A hundi which is payable to "dhani" Le., the owner. Firman Jog Hundi - which is payable to order if can be negotiated by endorsement and delivery. (1) Every negotiable instrument was made or drawn for consideration irrespective of the consideration mentioned in the instrument or not. (2) Every negotiable instrument having a date was made on such date. (3) Every accepted bill of exchange was accepted within a reasonable time before its maturity. (4) Every negotiable instrument was transferred before its maturity. (5) The instruments were endorsed in the order in which they appear on it. (6) A lost or destroyed instrument was duly signed and stamped. (7) The holder of the instrument is a holder in due course. Presume the fact of dishonour, or proof of the protest. However these legal presumptions are rebuttable by evidence to the contrary. The burden to prove to the contrary lies upon the defendant to the suit and not upon the plaintiff. The Negotiable Instruments Act, 1881 was amended in the year 1988, revising the rate of interest as contained in Sections 80 and 117, from 6 per cent to 18 per cent per annum payable on negotiable instruments from the due date in case no rate of interest is specified, or payable to an endorser from the date of payment on a negotiable instrument on its dishonour with a view to discourage the withholding of payment on negotiable instruments on due dates. Chapter XVII of the Negotiable Instruments Act provides for penalties in case of dishonour of certain cheques for insufficiencies of funds in the accounts. Sections 138 to 142 deal with these aspects. The provisions contained in this Chapter provide that where any cheque drawn by a person for discharge of any liability is returned by the bank unpaid for the reason of insufficiency of the amount of money standing to the credit of the account on which the cheque was drawn or for the reason that it exceeds the arrangement made by the drawer of the cheque with the banker for that account, the drawer of such cheque shall be deemed to have committed an offence. In that case, the drawer, without prejudice to the-6fher provisions of the Act, shall be punishable with imprisonment for a term which may extend to one year, or with fine which may extend to twice the amount of the cheque, or with both. (c) the drawer of such cheque should have failed to make the payment of the said amount of money to the payee or the holder in due course of the cheque within fifteen days of the receipt of the said notice. (c) that Court inferior to that of a Metropolitan Magistrate or a Judicial Magistrate of the first class shall try any such offence.